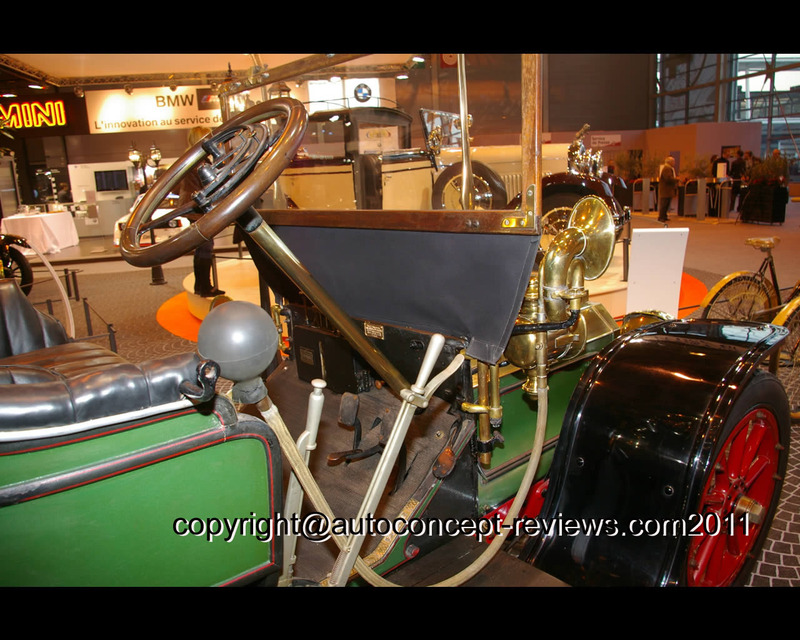 In 1905, sons of Peugeot Frères who used to work on traditional manufacturing (tools, springs, coffee grinder, sewing machines, cycles and motorcycles) launch themselves in automobile production. They create the brand Lion Peugeot which specialized in light cars. Armand Peugeot gives up his small Bébé type 69 and changes the Société des Automobiles Peugeot production toward more powerful cars such as this Type 81 B Double Phaéton. Launched in 1906 the Peugeot Type 81 B shown here in a Double Phaéton version, is a significant stylistic and technical evolution of Peugeot at the beginning of the XXth century. 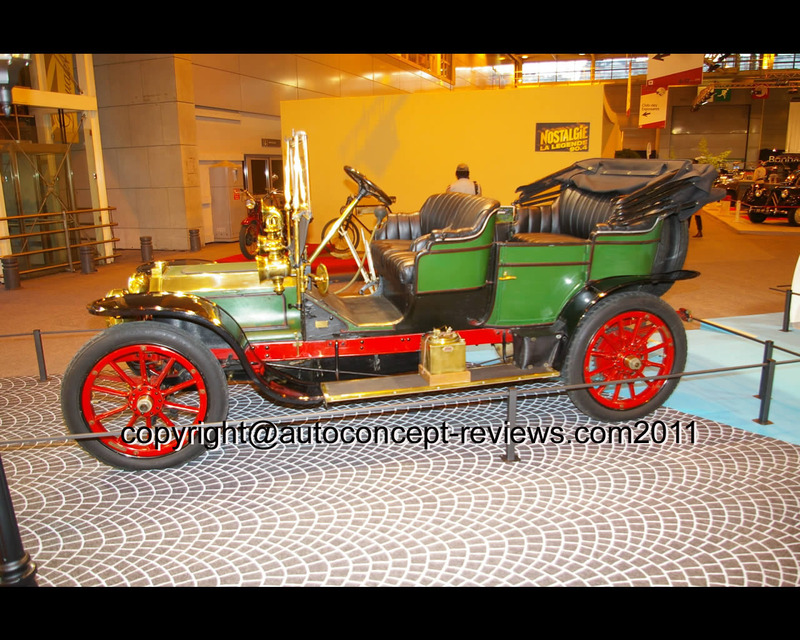 With a lowered chassis and a front engine under bonnet, the car definitely breaks with past horse carriages references. The flat radiator grille with vertical sides used in the last three years gives the Type 81 B range a recognizable brand style. 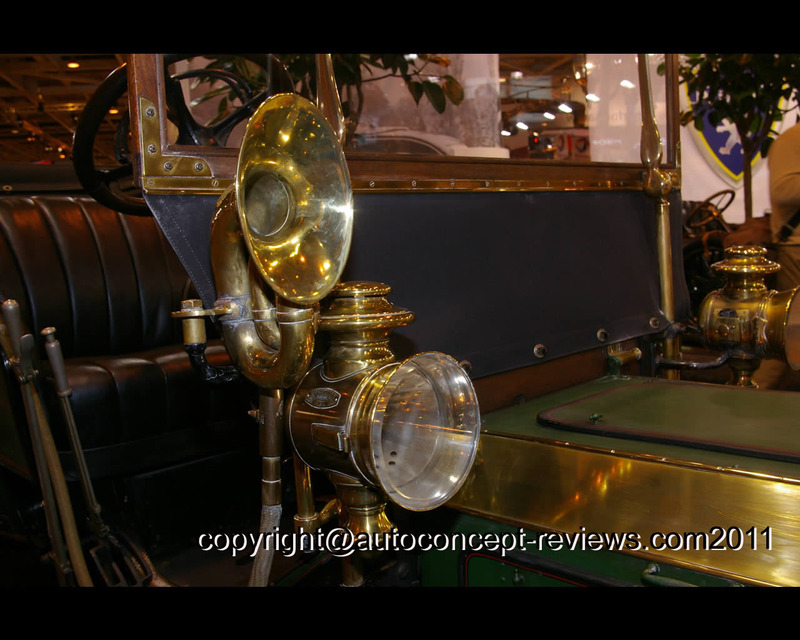 The Peugeot Type 81 is powered by a 2.207 cm3 four cylinders used along cone clutch and a 4 speeds gearbox. According to the chosen ratio, the maximum speed goes from 73 km/h (Type 81 A) to 89 km/h (Type 81 B). The steering uses rack and pinion while the drum brakes only act on rear wheels. The suspension is a springs leafs type completed with friction shock absorber. 251 units of the Peugeot Type 81 series are manufactured at Audincourt in 1906 out of a total of 2966 cars built in this same year.